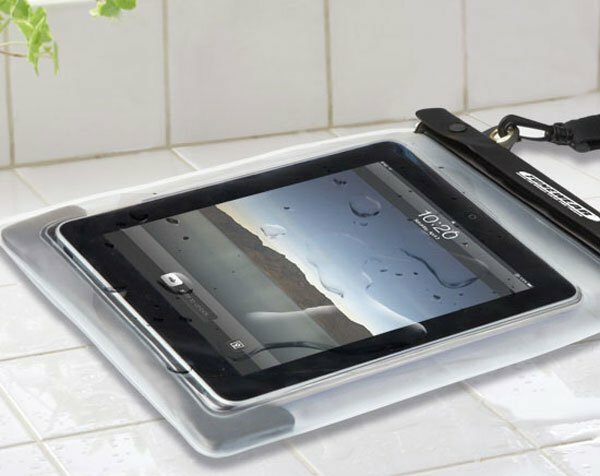 Do you need to take your new iPad into an unsafe watery environment? Or just can’t leave it alone long enough to take a shower? If you do then this new waterproof case designed by Tokyo-based company Tunewear will allow you to keep your iPad safe from water damage. The Waterwear iPad case allows you to protect your iPad from moisture and it’s still operate the touchscreen through the transparent case. The case is also fitted with an adjustable neck strap allowing you to keep your iPad close and secure.The Waterwear iPad case is available to purchase for approximately $38 from the Focal Japan website here.